iSkin supports the Canadian “green carpet” premier of REVOLUTION -- the documentary film that uncovers the perils of our planet’s ecosystems. 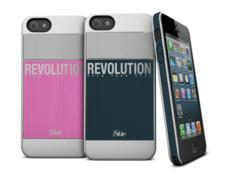 iSkin helps to build awareness of Rob Stewart’s profound new documentary movie with the release of REVOLUTION “Open Your Eyes” branded cases for the iPhone 5.
iSkin, a premium brand of fashion and technology lifestyle accessories, announces that it has created a limited edition of its aura case for the popular iPhone 5. 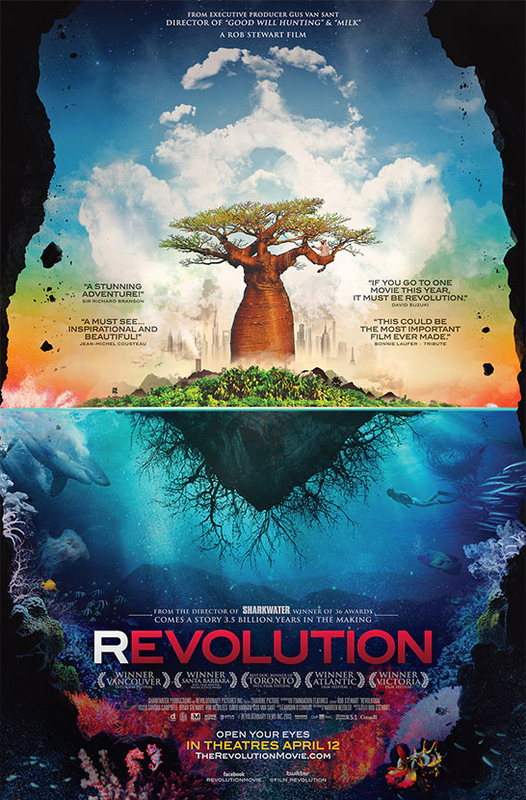 The new case will be distributed at the Canadian ‘”green carpet” premier of REVOLUTION, the documentary film by Rob Stewart, on April 11th, 2013. “REVOLUTION”, a new documentary film by Rob Stewart, director of the multi-award winning film “SHARKWATER” tackles the profound challenges facing the preservation of our planet’s oceans, vital ecosystems and humanity itself. This remarkable film embraces the idea of “re-evolution” and outlines the necessary changes needed to avoid human extinction on planet Earth. “We’re pleased to be involved with Rob Stewart’s new REVOLUTION film project. It’s our responsibility as citizens of our planet to help raise awareness and help “re-evolve” to better interact with our planet,” says Andrew Ackloo, CEO of iSkin. Now, with “REVOLUTION”, Rob Stewart aims to have humankind change the way it thinks about its own existence and its intimate relationship to our planet’s ecosystems. “REVOLUTION” opens in theaters everywhere on April 12, 2013. Award-winning biologist, photographer, conservationist and filmmaker, Rob Stewart learnt about the importance of wildlife conservation while practicing underwater photography as a teenager. He soon learnt the negative impact people have on the environment and ecosystems. Through his experiences and love for the oceans, he was inspired to make his first full-length feature documentary, “SHARKWATER” in 2007, a riveting documentary film exposing senseless finning of sharks that claimed international success and built global awareness about this horrific practice. iSkin Inc. is one of the world’s most trusted mobile accessory brands since its first advanced protective solution for the iPod® in 2002. Known for its cool, innovative designs and fashion-forward style, iSkin continues to be the leading mobile accessory brand. iSkin continues to focus on delivering the highest quality, innovative design and fashion-forward style in accessories for Apple®, BlackBerry® and Samsung®. The iSkin word mark and logo are registered trademarks of iSkin Inc., registered in Canada, the United States and other countries. All Rights Reserved 2006-2013. Apple®, iPod, iPad® and iPad® mini are trademarks of Apple Inc., registered in the U.S. and other countries. Other company and product names mentioned herein are registered trademarks of their respective companies.